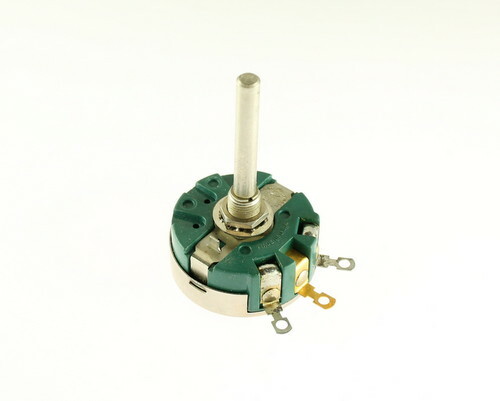 American made 58C1-3K wirewound potentiometer. Manufacturer: CLAROSTAT 58C1 series. Resistance: 3 kOhm. 10% tolerance. Linear taper. 3/8 in. long x 3/8 x 32-NEF-2A bushing. 2 in. 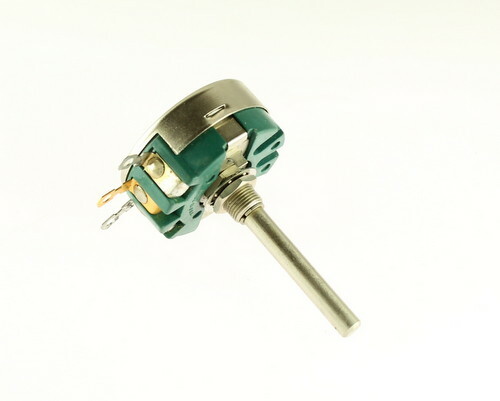 round shaft FMS.